The five-passenger C-MAX hybrid is powered by an all-new 2.0-liter Atkinson-cycle four-cylinder engine that Ford states is among the most advanced non-turbocharged four-cylinder powertrains they have ever offered. The four-cylinder engine is mated to an electric motor and advanced li-ion battery system. The C-MAX also gets new technology like a hands-free liftgate that allows users to open it with a simple gentle kicking motion under the rear bumper. A SmartGauge with EcoGuide helps drivers drive as efficiently as possible with a display that shows instantaneous fuel economy allows drivers to more closely monitor how their driving behavior affects the vehicle’s efficiency. The Brake Coach feature also optimizes the braking system and extends the vehicle’s driving range. 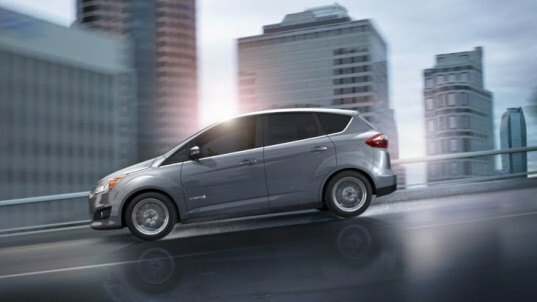 The C-MAX Energi plug-in hybrid will be released later this year. Ford predicts that the new vehicle will boast a longer electric-only driving range than the Toyota Prius plug-in hybrid. 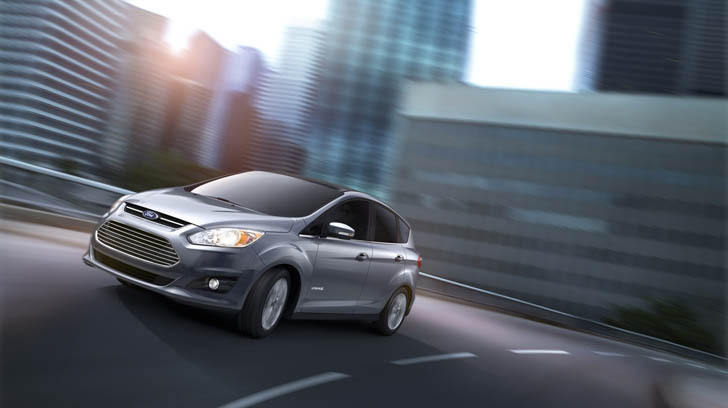 Ford's first dedicated hybrid, the 2013 Ford C-MAX compact utility vehicle, is slated to arrive in dealers this fall. Ford has announced that the compact five-passenger C-MAX hybrid will start at $25,995 -- that's approximately $500 cheaper than its closest competitor, the Toyota Prius v. Ford hasn't released the official specs for the C-MAX hybrid just yet, but they do expect it to "blend fuel economy with performance, with projected best-in-class horsepower and torque."